Tonto Dikeh has alerted her fans about some n*de photos of her that might make it to the internet soon. 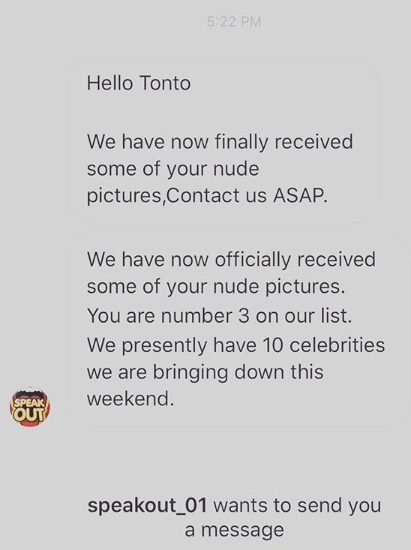 Acccording to what the actress posted, it seems some people want to use the said photos to demand money from her, but Tonto is saying, she isn’t in for that, and they can go on instead. LOL. Next Nigerian Man Wants A Woman Who Can Use Firewood To Cook, Wash The Water Tank, His Car & Lots More!